Comfortable and luxurious bathrooms are always high on any home owners list, and at J Antrobus & Son, we can help make this a reality. 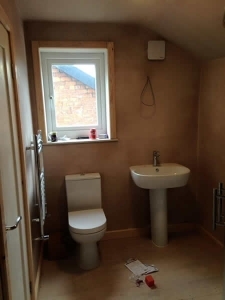 We can provide you with full bathroom installations and will take you from design to completion with as little hassle and mess as possible. We guarantee complete peace of mind during and after your installation. 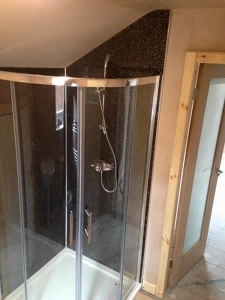 If a bath or traditional shower isn’t your thing, and you want something to impress why not try a wet room? Wet rooms have been increasing in popularity for the past couple of years, providing that little extra style to your bathroom. Wet rooms are functional and increase the value of your home. 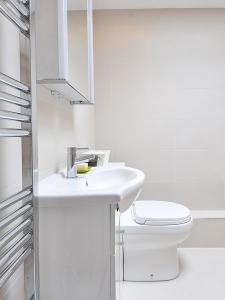 We guarantee your bathroom will stand the test of time, whether you have a large or small family. Interested? Contact us to find out more.